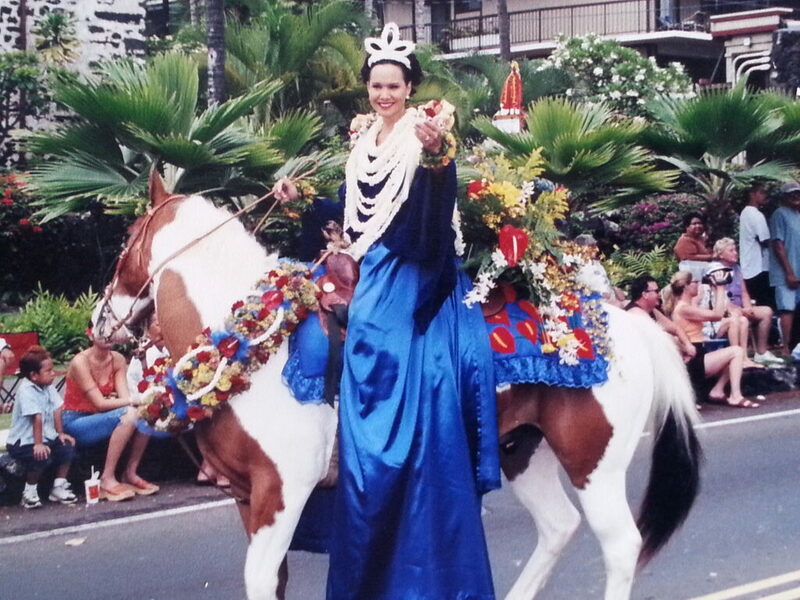 Raised on the slopes of Hualalai, Moana Kuma will reign as queen of the 2016 King Kamehameha Day Celebration Parade in Kailua-Kona on Saturday, June 11. In her unit, Moana honors her entire extended ohana, friends, and past parade queens who illustrate Kona’s beautiful past, present, and future. 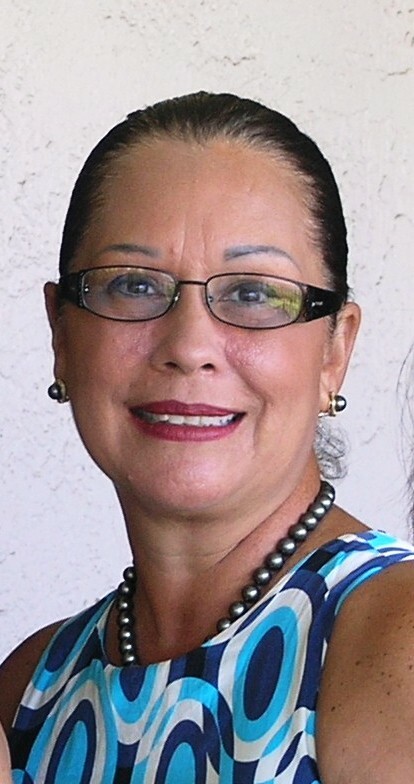 As queen, she will pay tribute to her beloved Kona and its people. 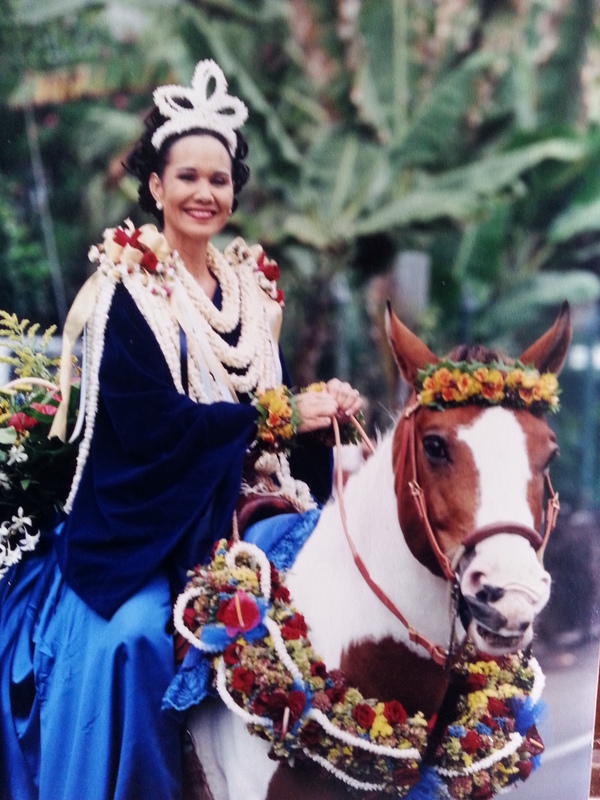 Moana has been a part of the Kamehameha Day Parade festivities for the last three decades as a pa’u rider, narrator, and planning committee member. She gives her sincere mahalo and aloha to her ohana and friends who have walked this journey with her.